The Whitley Residences represent Infinite Sophistication. Its is a world of living created to transcend every class. An opus inscribed in the finest facets of quality, unraveling overwhelming brilliance even as you make your way to the entrance. The Whitley Residences , a creation preceding the highest standard, the bona fide essence of luxury is truly omnipresent . A name synonymus with timeless panache that has gone beyond luxurious living. It’s the presence in the highest living. Opulence in surfeits the remarkably scenic premises ingeniously accenting the architectural marvel of pristine features. This exquisite habitat is set to thrive with the modernity of high society yet lush with familial belonging. Every single facade detail is carefully thought out and integrated to create a conducive, sustainable environment – where both you and nature can grow and flourish in perfect harmony, in one dynamic ecosystem at The Whitley Residences . 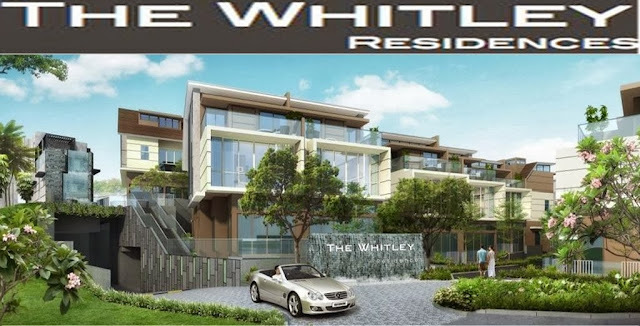 The Whitley Residences -Life is at the pinnacle where on the finest reside. - Freehold. Nestled among private residential area in Newton vicinity. - Close to shopping centres like Velocity@Novena Square, United Square, Goldhill Shopping Centre and Chancery Court. - Only 5 minutes from Orchard Road and 10 minutes from the Central Business District.